OTTAWA — Canada announced today its final regulations to phase out traditional coal-fired electricity by 2030. 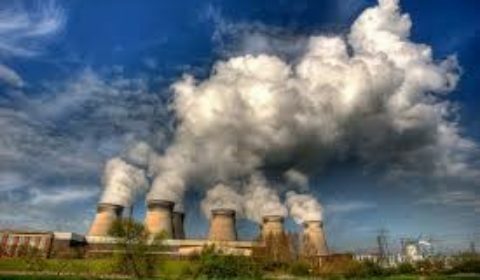 Power plants generated by coal will be phased out in 12 years, according to a new federal Liberal government goal announced Dec. 12, 2018. The federal government also published final greenhouse gas regulations for natural gas-fired electricity, which will both support the coal phase-out and create good, well-paying jobs in the electricity sector. According to the Liberal government, that’s why Canada announced today final regulations to phase-out traditional coal-fired electricity by 2030. Canada’s electricity generation mix, it boasts, is already one of the cleanest in the world. By phasing out coal-fired electricity early, Canada strives to have 90 per cent of electricity from non-emitting sources by 2030 and will cut carbon pollution from the electricity sector by 12.8 million tonnes. “As we make the transition to cleaner sources of power, the Government of Canada remains committed to supporting workers and communities that depend on the coal industry,” the release says. Earlier this year, Canada launched the Task Force on the Just Transition for Canadian Coal Power Workers and Communities to better understand the impacts of the phase-out and how to minimize them, including funding for skills development, economic diversification, and transition centres. We look forward to reviewing the Task Force’s final report in the coming months. The report will offer expert advice on how to make this transition a fair one for affected coal workers and communities. Copies of both regulations were published today in the Canada Gazette, Part II. “Phasing out coal is an important part of our plan to tackle climate change, protect the environment, and grow the economy,” says Catherine McKenna, Minister of Environment and Climate Change. Canada’s new regulations are expected to have benefits for Canadians, totalling $4.7 billion including $3.4 billion in avoided climate change damage, $1.2 billion in health benefits for Canadians, and $40 million in environmental benefits. In 2005, coal generated approximately 16 per cent of electricity in Canada. By 2016, that number dropped to 9 per cent. Yet coal-fired electricity is responsible for 72 per cent of Canada’s greenhouse gas emissions from the electricity sector. Before Ontario completed its phase-out in 2014, coal emissions were a major source of air pollution that contributed to 53 smog days in Toronto alone in 2005. Jobs in Canada’s low-carbon economy are expected to grow. Already, more than 270,000 Canadians work in environmental and clean technology activities. These activities also contributed around $60 billion (3 per cent) to Canada’s GDP in 2016.